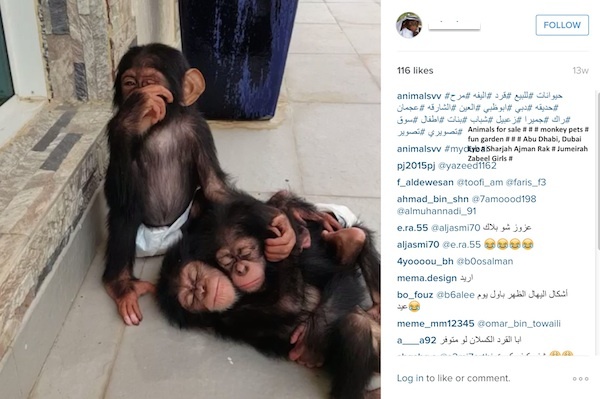 These are just some of the emojis PEGAS sees in great ape pet posts on Instagram, accompanied by comments such as, “I want a monkey [sic]”, “I love these guys”, “Where can I get one”, and so on. 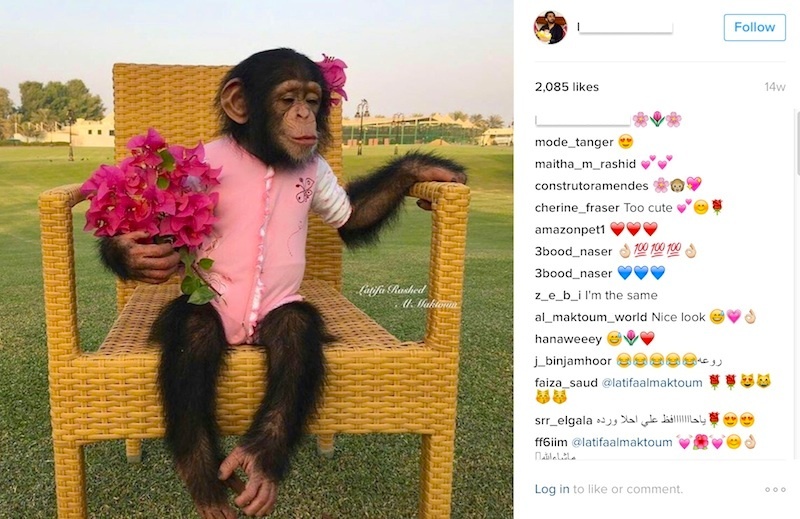 Well-meaning posts of loved pets’ photos, especially when made by influential people, unwittingly stimulate others to emulate them by acquiring their own pet, usually through illegal trade. 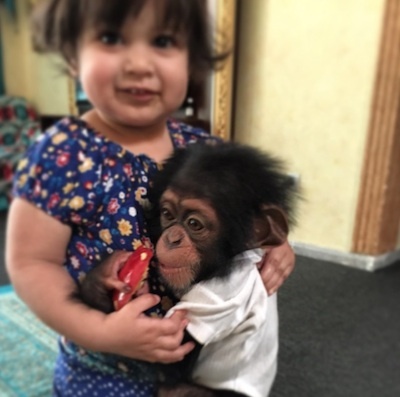 Showing children with great ape pets drives the trade, as both parents and children who see the posts will get the idea that it acceptable, even desirable, to acquire a chimpanzee or orangutan baby pet. Other posts are more insidious, with “For sale?” being common. The question is often answered instructing the potential buyer to communicate through a WhatsApp number or direct messaging. Occasionally, actual prices will be given in plain view of any observer. Some posts might even promote others going into the business, as they show dealers with expensive cars and nice houses. 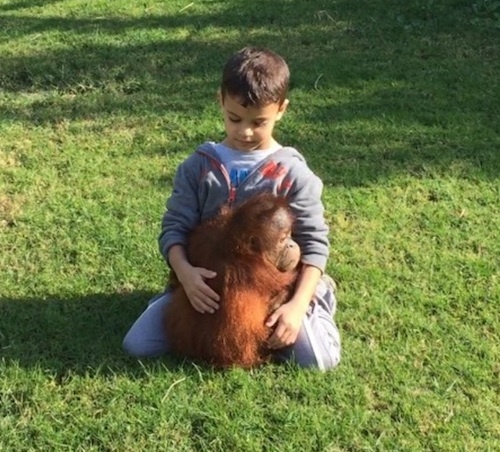 Many posts create the impression that the ape is having a wonderful time and is enjoying its role as a pet, but other posts capture the reality, the despair and loneliness that the ape experiences, and its end destination when it ceases to be cute and cuddly – a cage. The development of the Internet and access to hundreds of millions of new users in recent years, coupled with social media platforms and the ability to create closed groups and private accounts, has resulted in the burgeoning ability of live animal suppliers, middlemen dealers and buyers to engage in active illegal trading of protected species. The markets can be much larger than physical markets, because thousands of group members located in many countries can be involved. For example, TRAFFIC documented 70,000 members affiliated to just 14 groups on Facebook in one country selling a wide variety of CITES Appendix I animals. 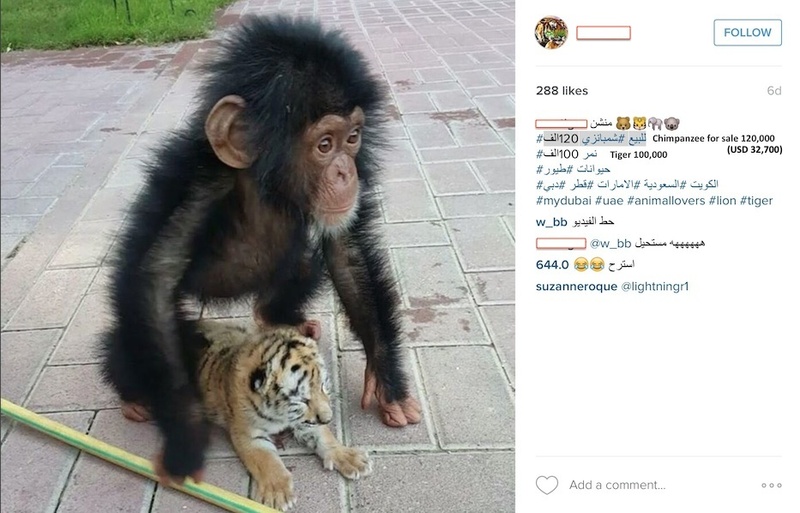 PEGAS began monitoring social media sites such as Instagram and Facebook in March 2015, after reading a Zoo News blog about a wildlife trafficker using social media to sell exotic animals in the UAE. A few months later Patricia Tricorache of the Cheetah Conservation Fund contacted PEGAS and provided a wealth of additional information regarding online exotic animal trading. The CCF and PEGAS have been collaborating since then, building up a cheetah and great ape database of online wildlife trafficking. We see many other endangered species being trafficked as well in the course of our investigations. 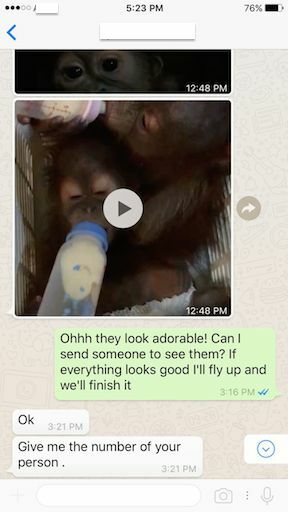 More recently, Alexandra Russo volunteered to help and she has found several new great ape and cheetah social media dealers. PEGAS conducted an update count of the individual great apes that it has seen posted on Instagram and Facebook accounts as of early January, 2017. Only those apes that were in the possession of the person posting were counted. Many exotic pet dealers and owners know each other and reposts of their respective photos on two or more other account sites are common. 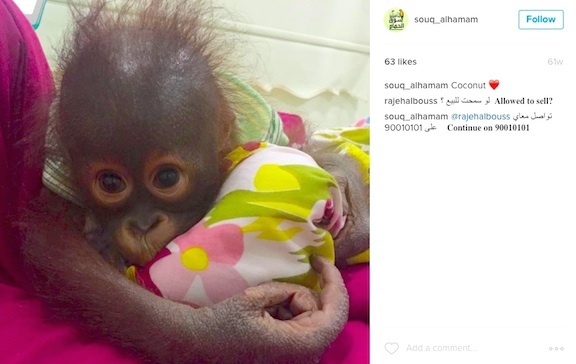 Care was taken to count only the ape in the original account photo or video. 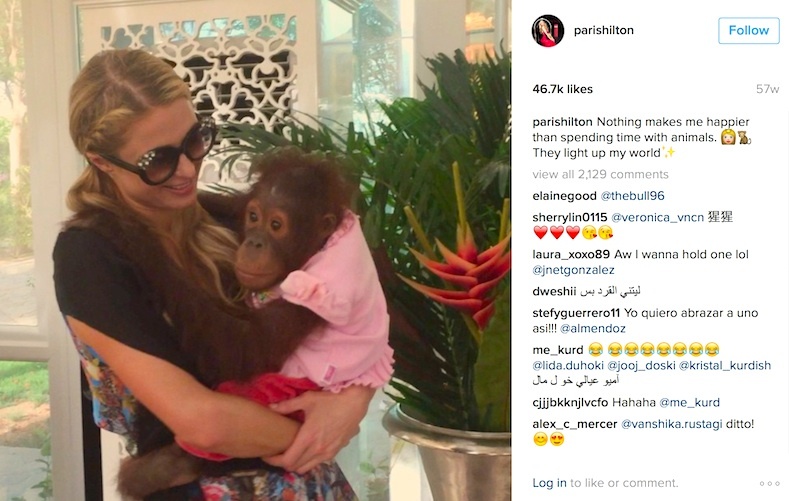 Some great apes are pets that owners have posted many times, sometimes over the course of two or three years. 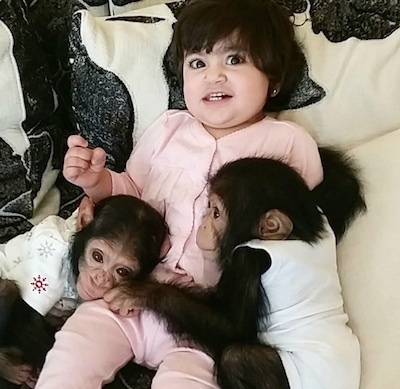 PEGAS recorded the names of the pets and took care not to count the same ape more than once. 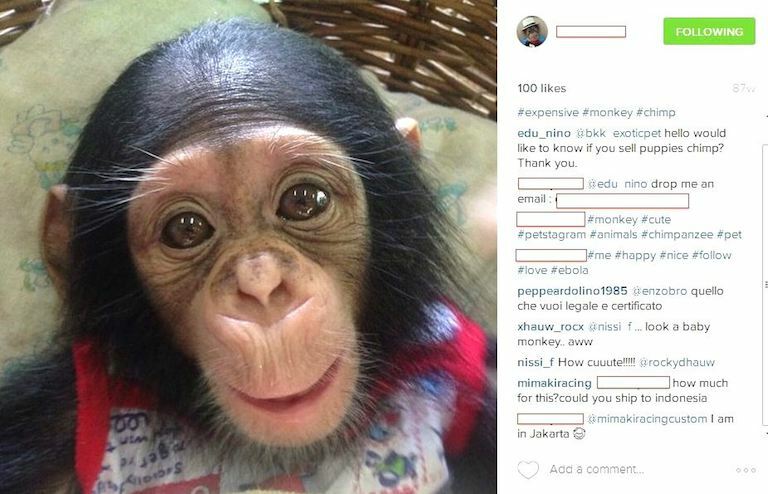 In addition, some people have more than one Instagram or Facebook account and post great ape photos and videos on them all. For example, PEGAS has seen the exact same post on up to ten different accounts, due both to repostings by the same person on different accounts they own, and/or by friends or followers on their respective accounts. To complicate matters, some people have closed accounts – or had them closed by Zuckerberg’s people after complaints about illegal trading and/or abusive posts – and opened new accounts. PEGAS has found some, but not all, of the new accounts (if new accounts were created). Care must be taken not to count new sites of already counted traffickers as different ones. For example, @dubai.tiger closed down and reopened as @uae.tiger. This should be counted as one dealer, not two. The two sites have posted the same chimpanzees and orangutan, PEGAS tried to identify them and count each only once. 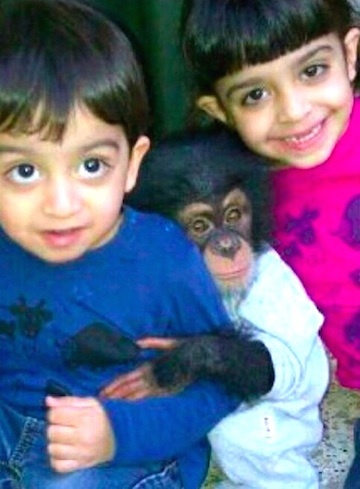 The fact that owners usually put the apes in children’s clothes helps with identification, particularly with reposts. 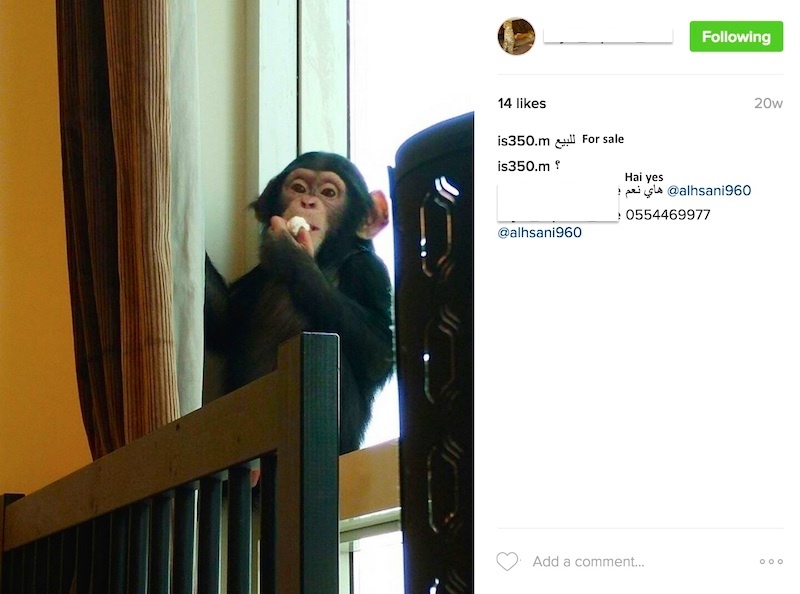 PEGAS has even seen dealers repost great apes from another account and offer them for sale. It is unknown whether these were scam sales offerings or were done with the owner’s knowledge and permission. 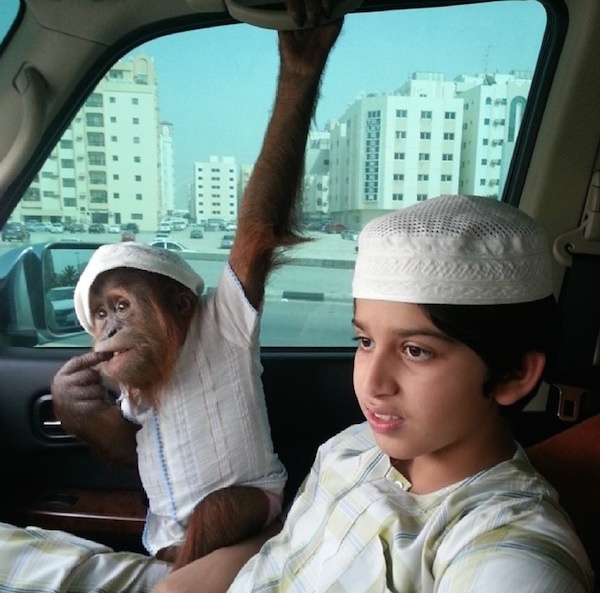 This chimpanzee belonged to someone in the UAE and this photo was posted on his site, but a dealer in Indonesia put it up for sale with a repost on his site. Did the owner know? PEGAS classed accounts as dealers (D) or owners only (O). 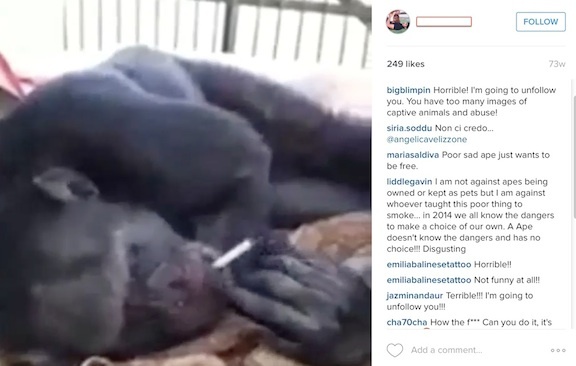 Some dealers are also great ape pet owners (D/O). 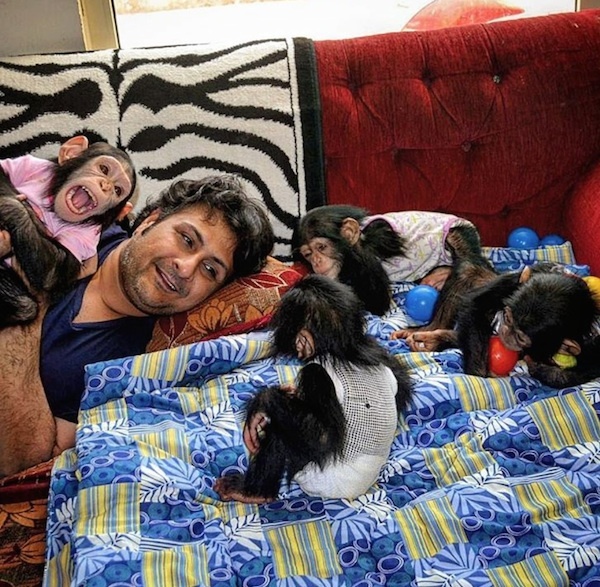 PEGAS was surprised to see cases in which dealers would sell great apes that they had named and kept as pets for themselves or their children for several months, and for whom they had shown great affection. Traffickers also made reposts from sites not engaged in trade, whether to mislead investigators or just for fun is not known. 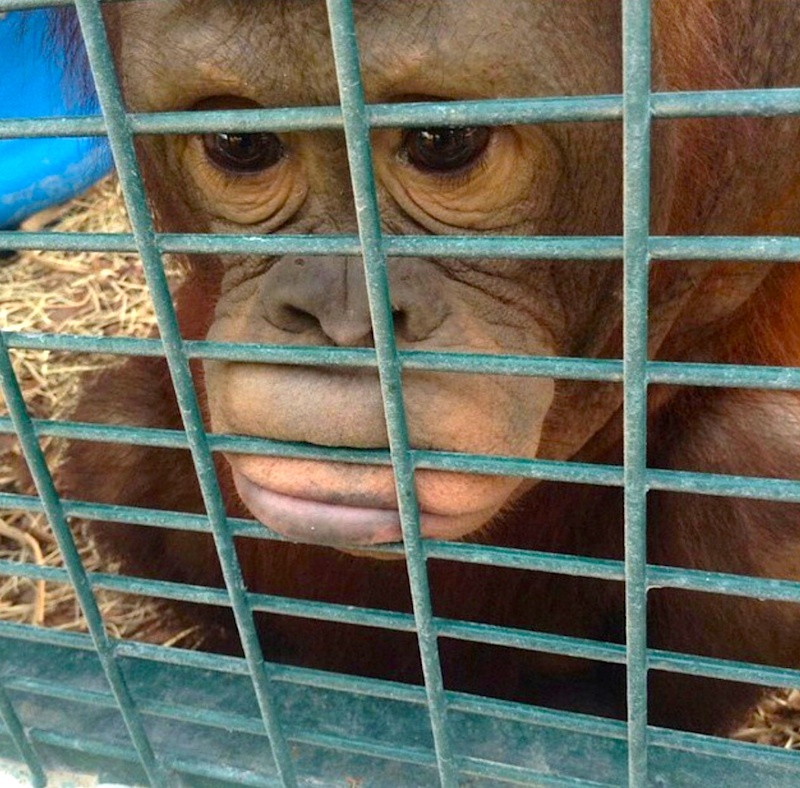 Traffickers posted great apes from International Animal Rescue, from various sanctuaries, from zoos and safari parks, from animal-theme websites, and even of Koko the gorilla. 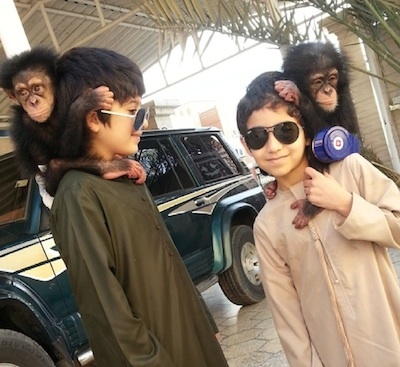 Most exotic animal dealers know now that a number of investigators are watching them. One dealer in particular has started doing this fairly recently, along with making reposts of his posts made originally two or three years ago. PEGAS thinks he is doing this to confuse the watchers. In spite of trying to take care to avoid the methodological pitfalls described above, the figures presented should be considered as plus or minus about 10 percent, as a certain amount of guesswork was involved in deciding whether a post was a repost of the same ape, or which account was the actual original account making the photo/video post. This type of work is enormously time-consuming and further work is needed to figure out who actually owns each account and who first posted each ape seen. Few Instagram accounts provide the name of the owner and some Facebook accounts have fake names or nicknames. The posts go back to 2011, but the great majority have been made since 2014. PEGAS has been monitoring social media accounts in thirteen countries. PEGAS knows of other countries where online dealers are based, but time is not available to extend to them. In fact, PEGAS does not have the time to monitor properly the thirteen it is currently looking at. The most active region for great ape trafficking is the Middle East, followed by Southeast Asia. Africa is not well represented because they rarely post photos of great apes on personal accounts, knowing that their sale is illegal and that there are investigators watching their accounts. 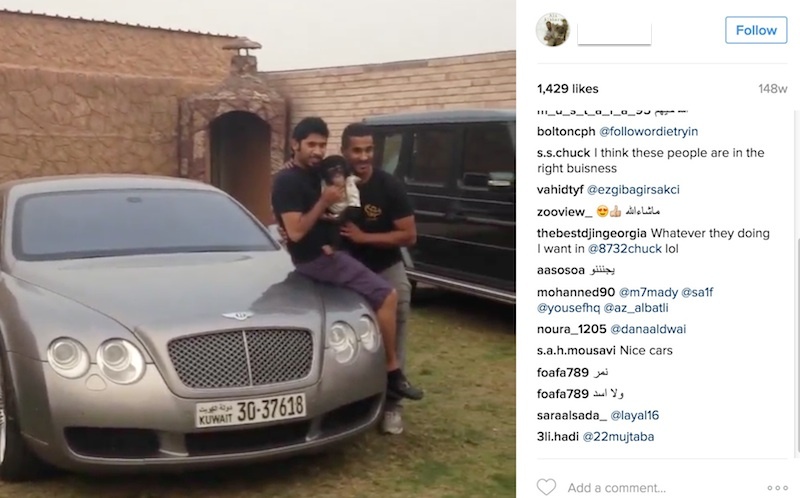 For whatever reason, African dealers do not seem to use Instagram as much as the other dealers do, preferring Facebook. There may well be closed member Facebook groups where dealing takes place that PEGAS hasn’t found yet. Thus far, approximately 94 individuals have been found posting photos of great apes that they have at one time possessed personally. Of these, 51 are dealers and 43 are owners only, and 7 are both. It should be understood that even the owners only are also engaged in great ape trafficking, as it takes two to tango, so to speak. Trafficking consists of a seller and a buyer. 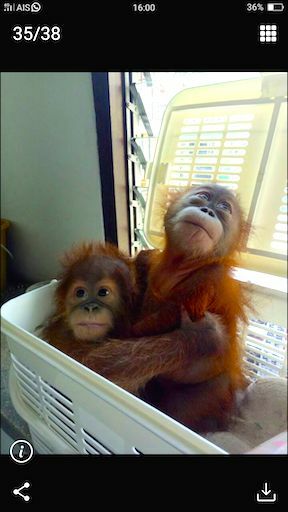 Both are engaged in illegal trade (although the CITES Secretariat made an exception for China in one infamous trafficking case involving up to 150 great apes). The actual names and contacts are known for 45-50 of these. 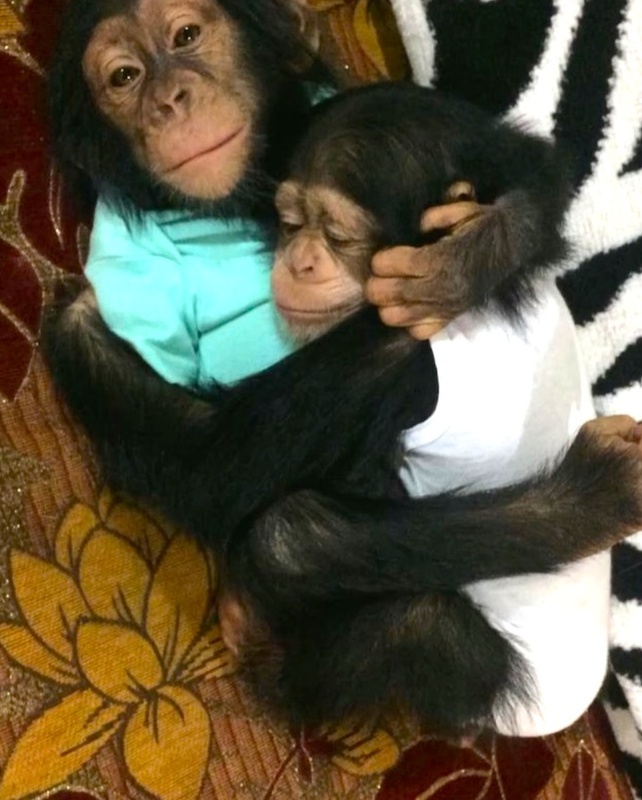 The 94 individuals posted approximately 162 chimpanzees and 88 orangutans that they held in their possession, 250 in all. Although photos were seen of bonobos and gorillas, none of them appeared to be in the possession of the person posting them. 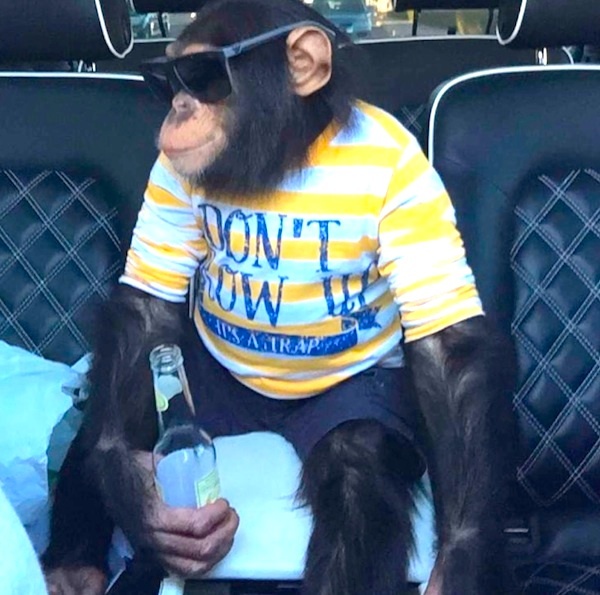 A few of the dealers were either known or suspected of dealing in bonobos or gorillas from other sources, but the social media sites have not offered evidence to date. Many of the dealers and owners know each other, and a few tight networks have been unearthed. For example, the principle supplier of Asian species to a large Gulf exotic pet operation was found in Indonesia. There is much more research to be done to work out the networks of suppliers, middlemen and buyers. 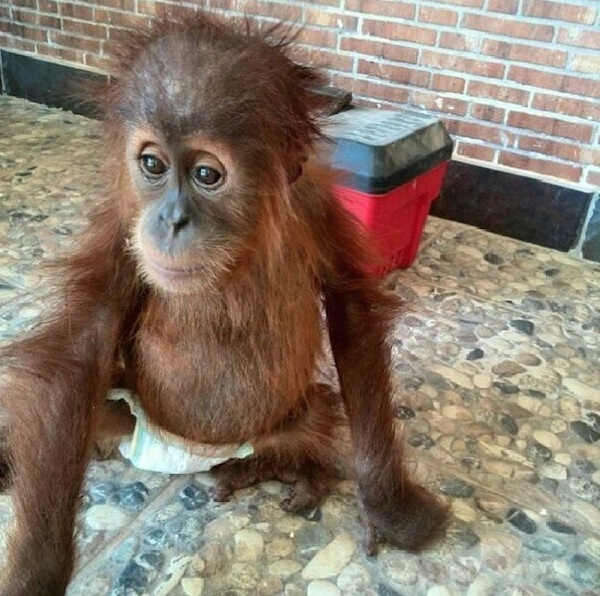 The 250 great apes seen in the thirteen countries is just the tip of the iceberg. There are many accounts and groups that have not been fully researched or even found yet. Some of the more active dealers, particularly in Southeast Asia, remove the posts from their accounts after the animals have been sold. So if an investigator does not monitor the account for the days or weeks that it is up for sale, it will not be seen. There is also the problem of law enforcement. Even when the names and contacts of traffickers are known and reported to the relevant authorities, with copies of the incriminating posts, they will not take action. They claim it is too much work to gain a conviction and they have higher priorities. Some NGOs and individuals campaign to have the social media sites closed down, but that can be counter-productive as the trafficker then simply establishes a new site and increases his security settings and is much more careful about whom he lets gain access to it. Shutting down an account does not stop the trafficking. About the only way to be sure of law enforcement is to set up a sting, as occurred in Thailand last December. The police were involved at the outset and there was close cooperation between the person setting up the operation, the police and the collaborating local NGO. This is expensive and can take months of work to achieve. Until laws are in place to make it easier for the police and legal system to arrest and convict traffickers on the basis of posts alone, the undercover sting will remain the only option. If one considers how many great apes were killed during the capture of the infants and how many infants would have died during transport, the 250 successfully smuggled great apes probably represent about 2,000 killed. 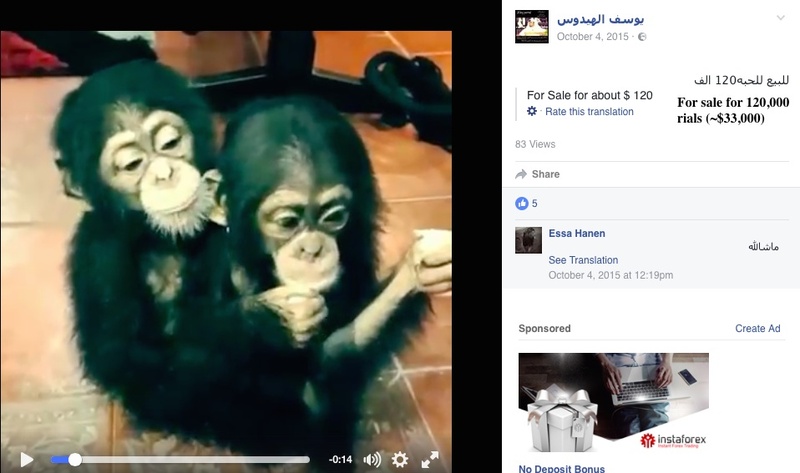 This entry was posted in Internet, online trafficking, PEGAS and tagged cybercrime, great ape trafficking, social media. Bookmark the permalink.